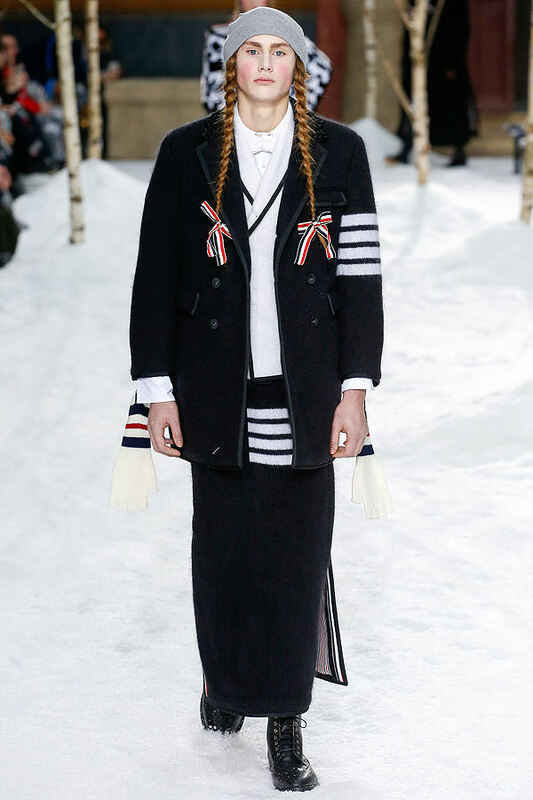 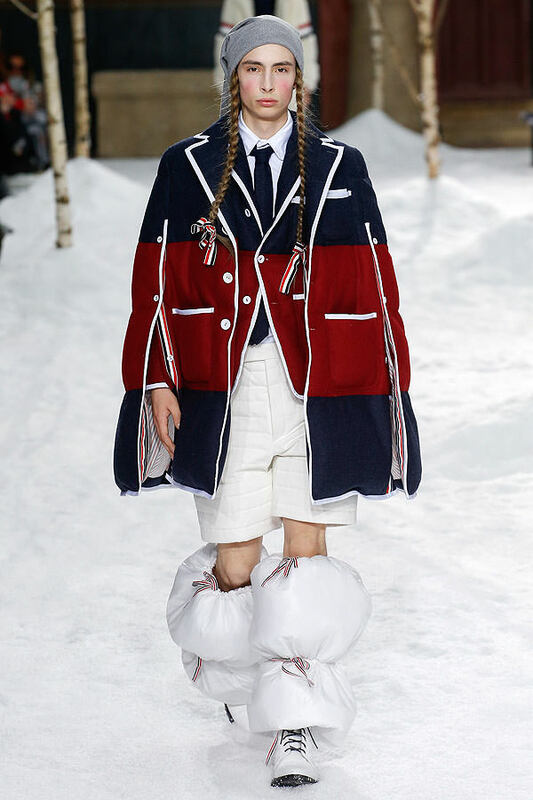 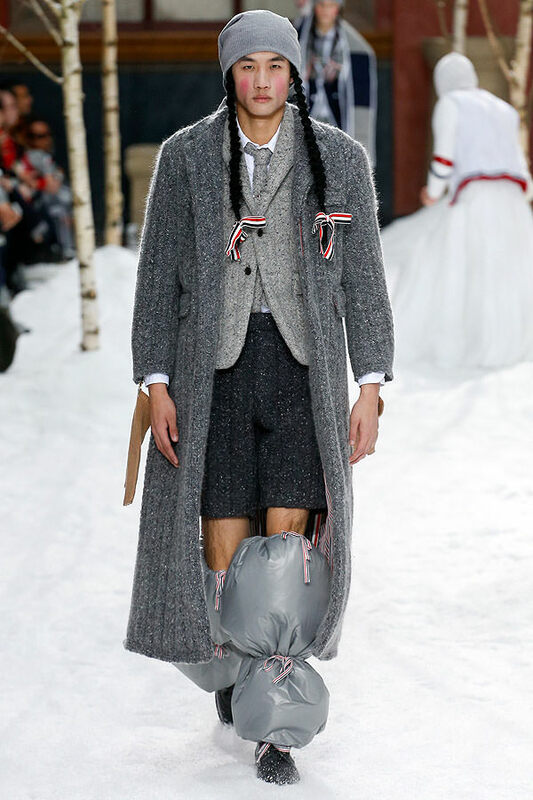 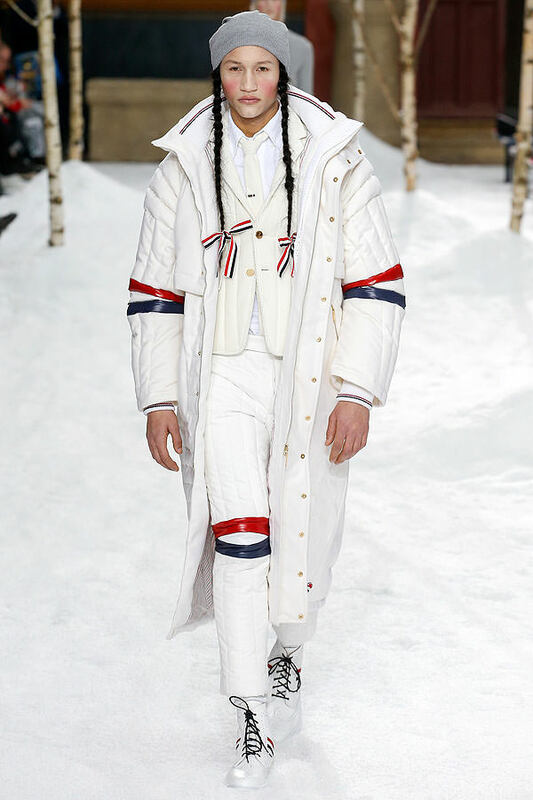 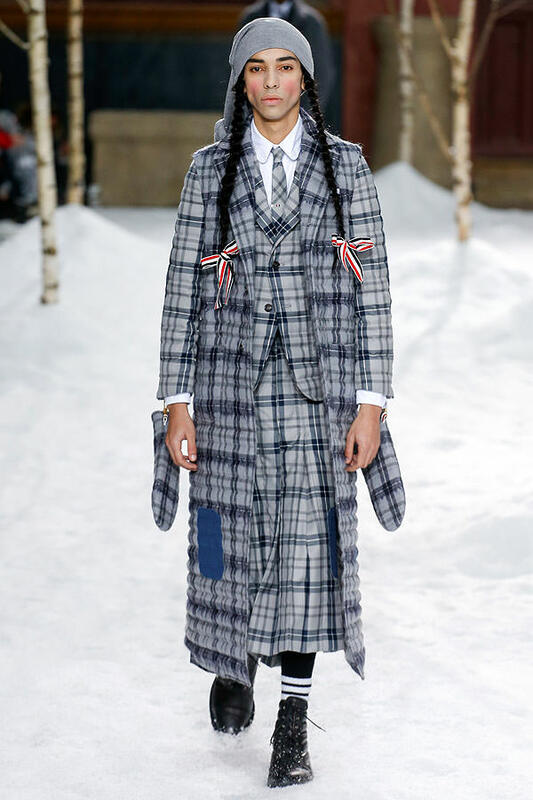 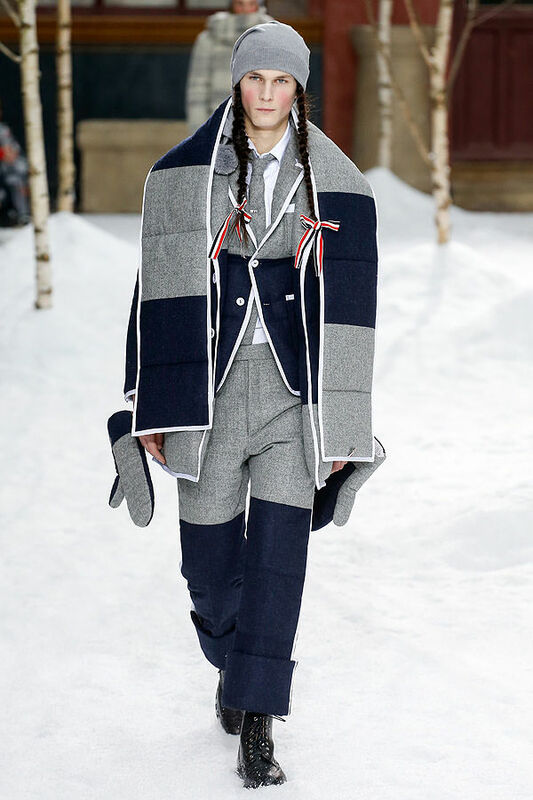 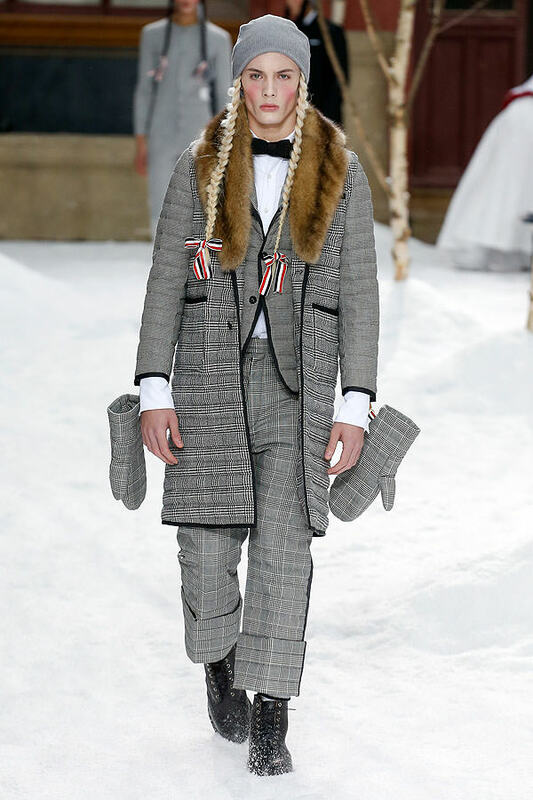 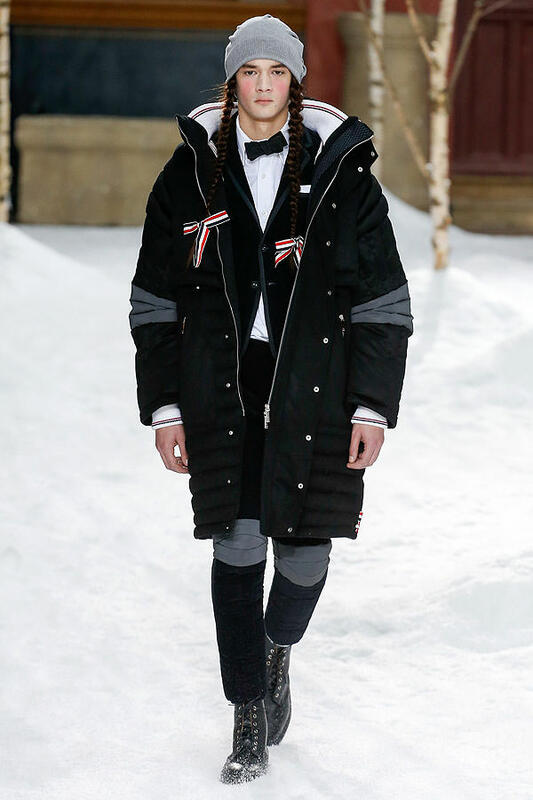 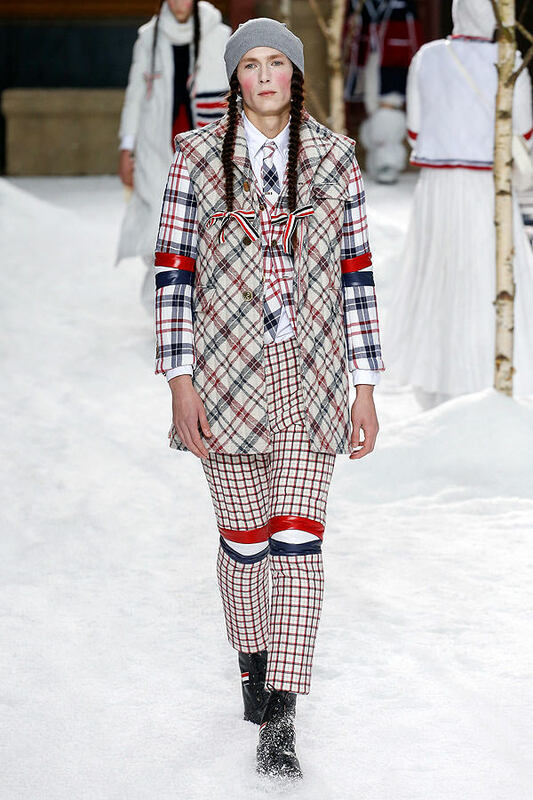 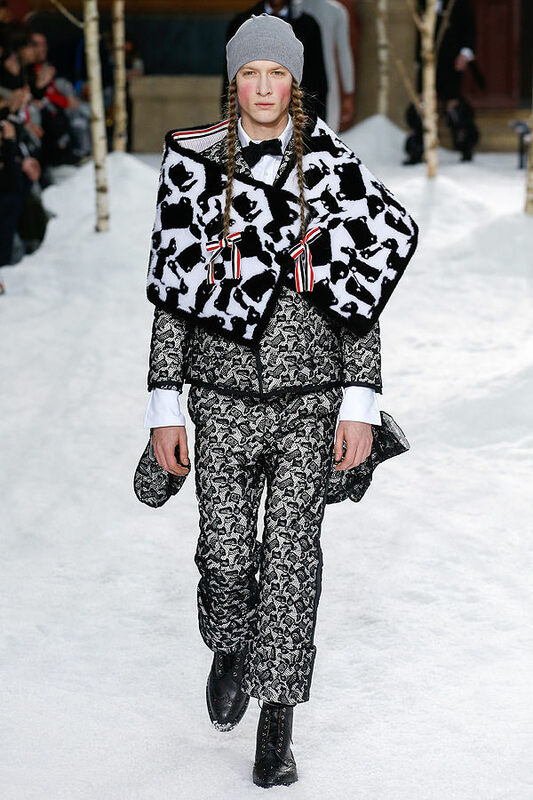 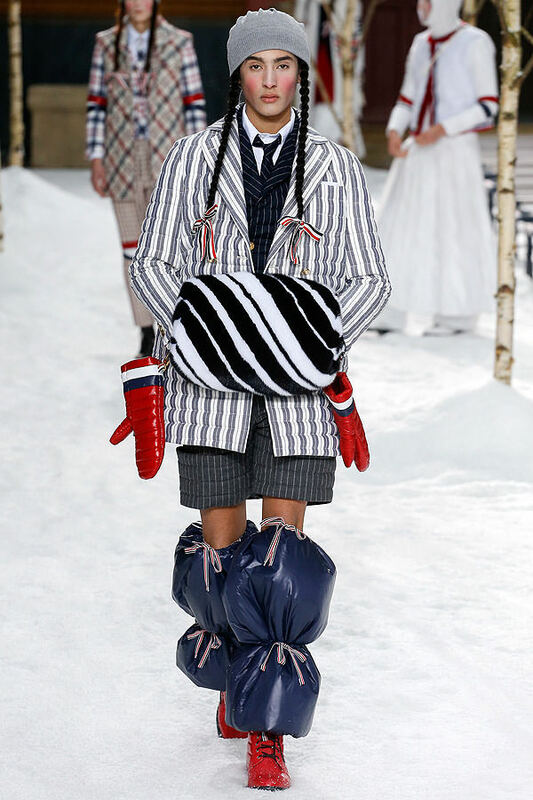 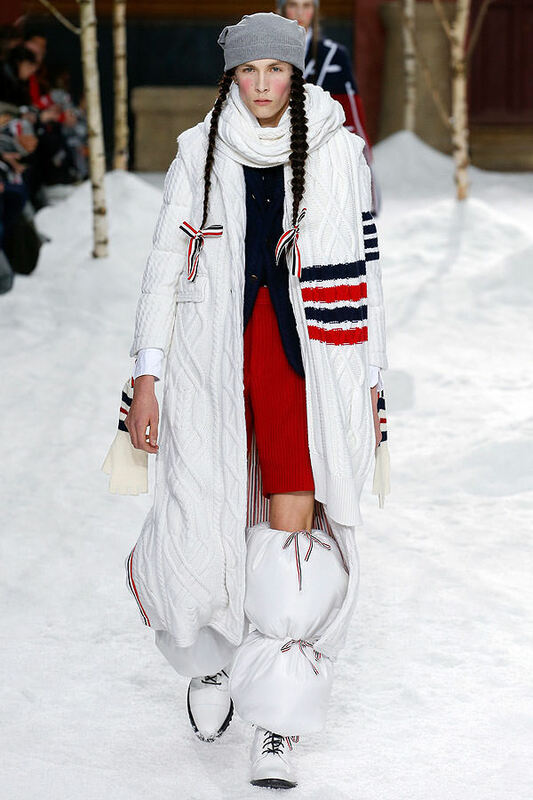 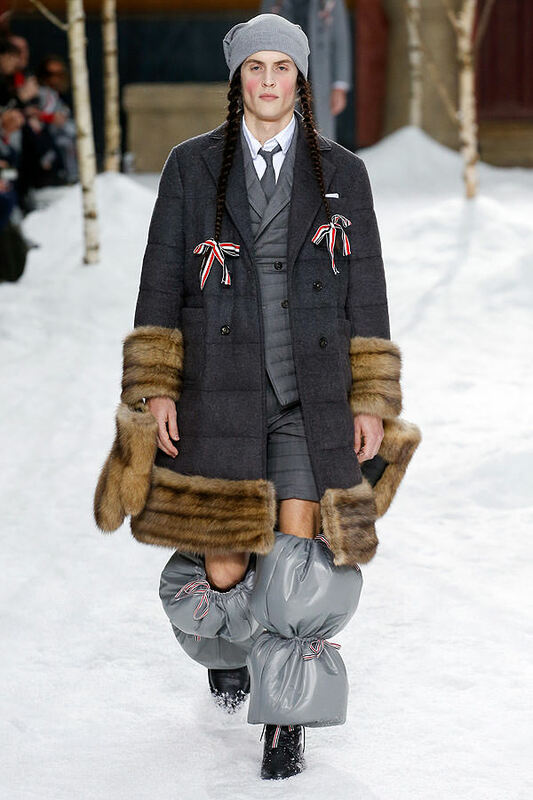 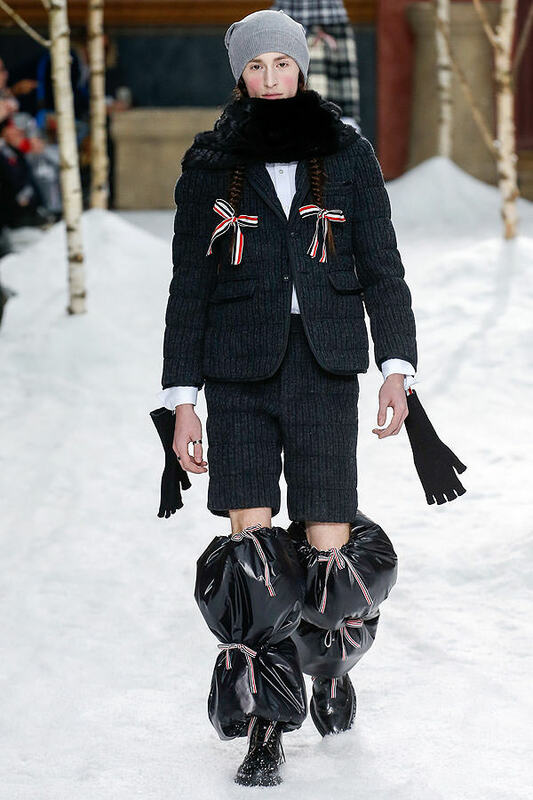 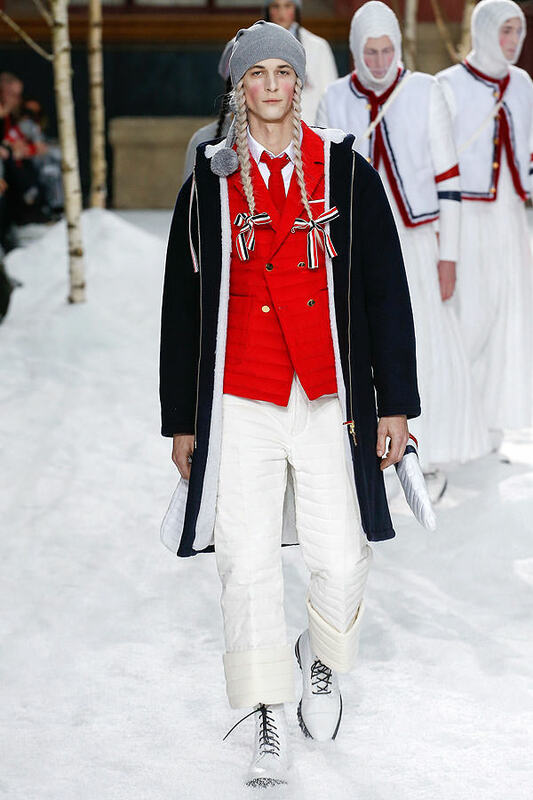 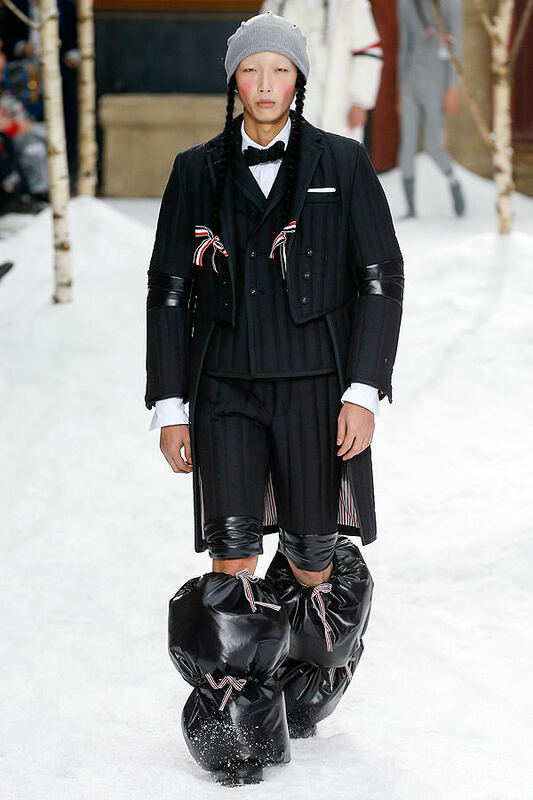 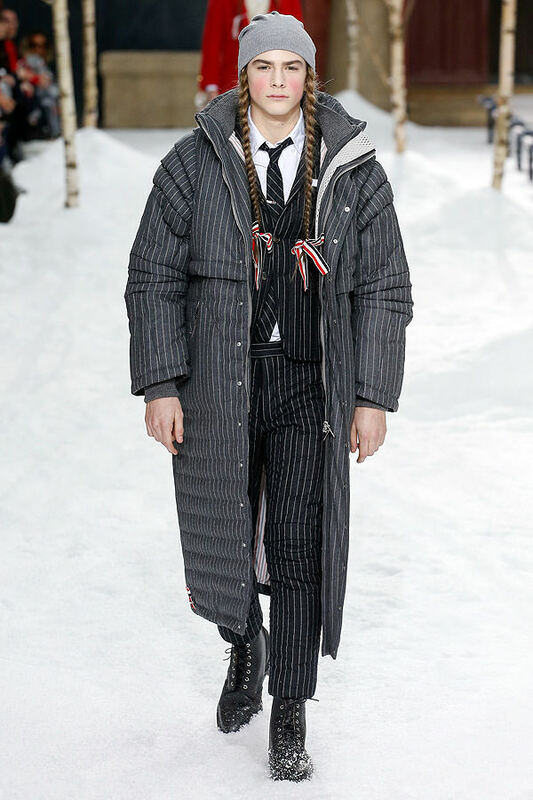 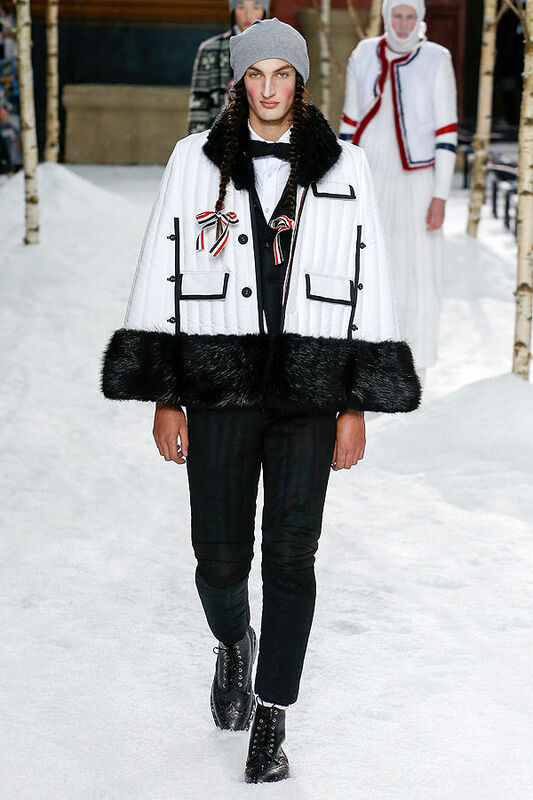 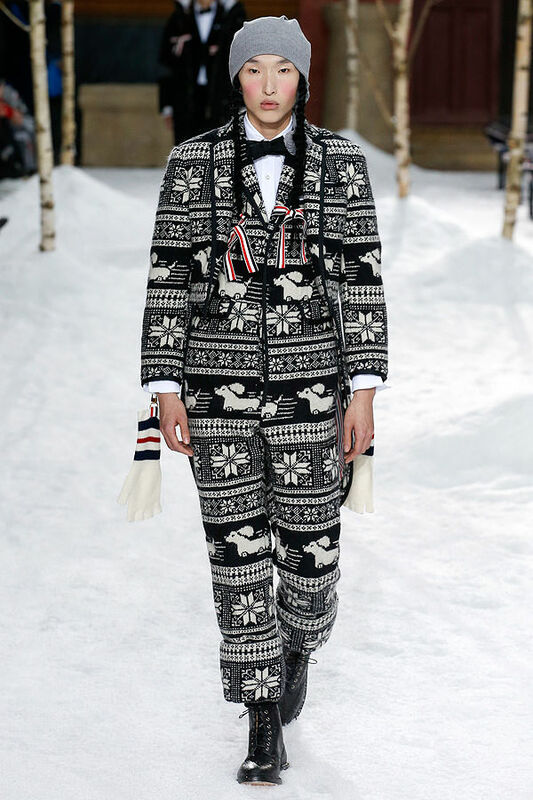 As is his wont, Thom Browne wrapped his fall collection in an idiosyncratic, tongue-in-cheek mise en scène. 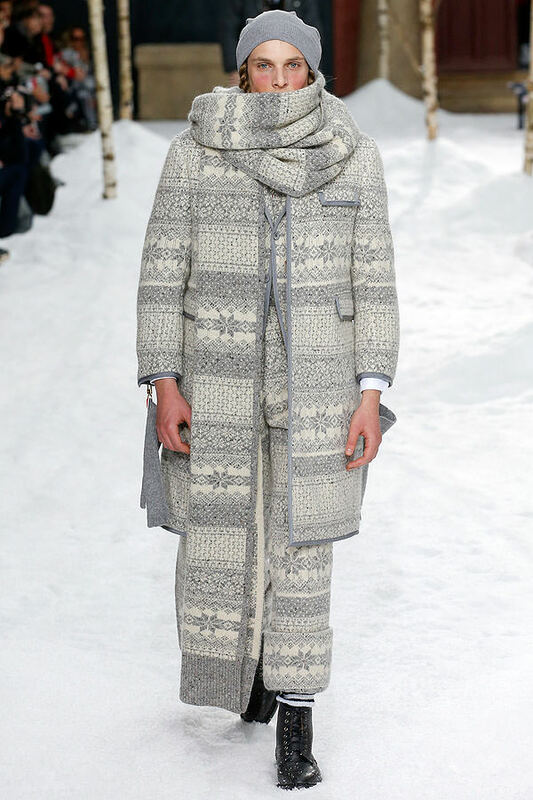 This time it involved men in gray pajamas slipping into camping beds at the end of the show in a desolate, snow-blanketed landscape. 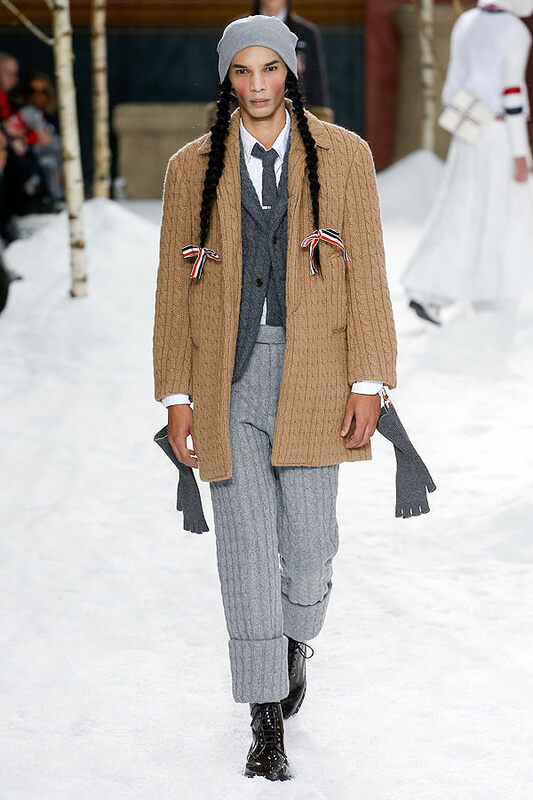 Other men wearing white skirt suits and bags tucked them into bed sporting trompe l'oeil gray suits, adding to the eerie effect. 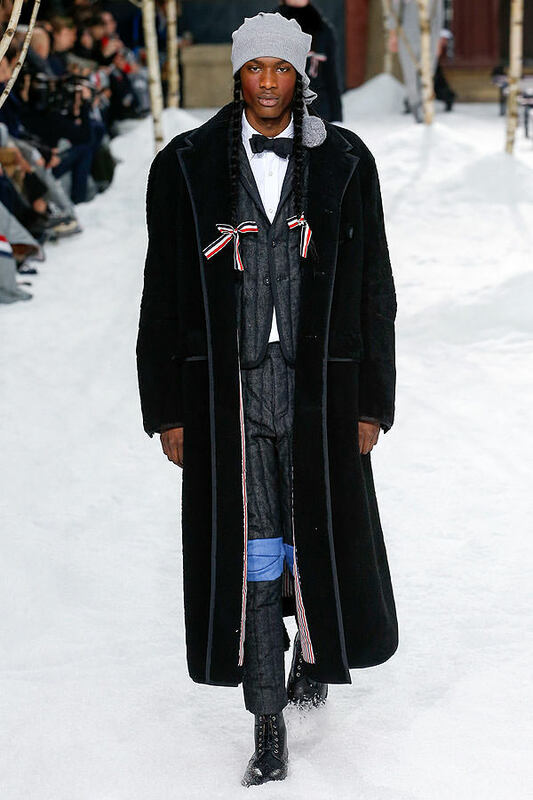 Despite that tableau, this beautiful collection confirmed that the designer, after a deconstructed phase, had now entered a more straightforward era. 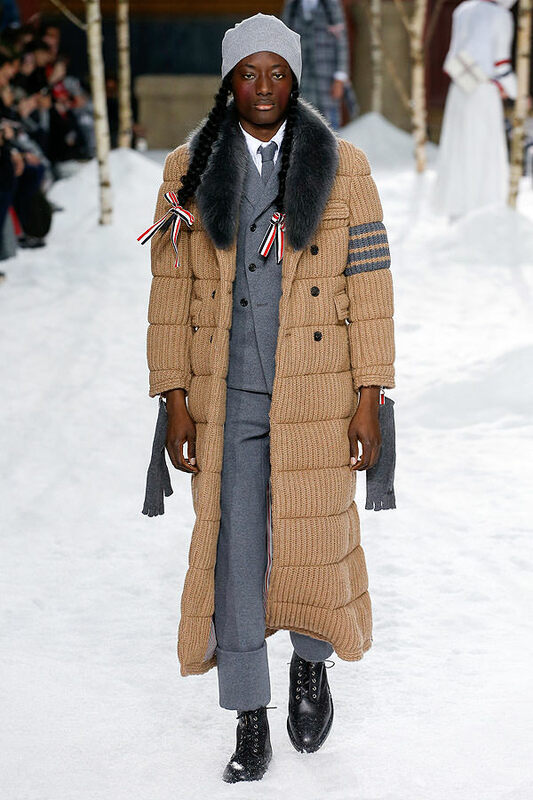 It was one of his most wearable and sedate collections to date, with almost the only gimmick being the Heidi braids, emerging from beanie-capped heads, tied with ribbons at the bottom. 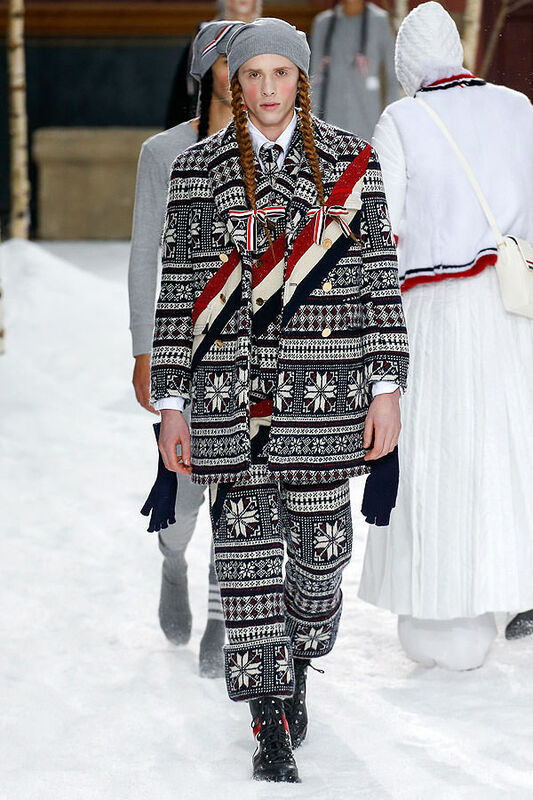 As an ode to winter dressing and comfort, the designer cut much of his famous taut tailoring in knits or quilted fabrics. 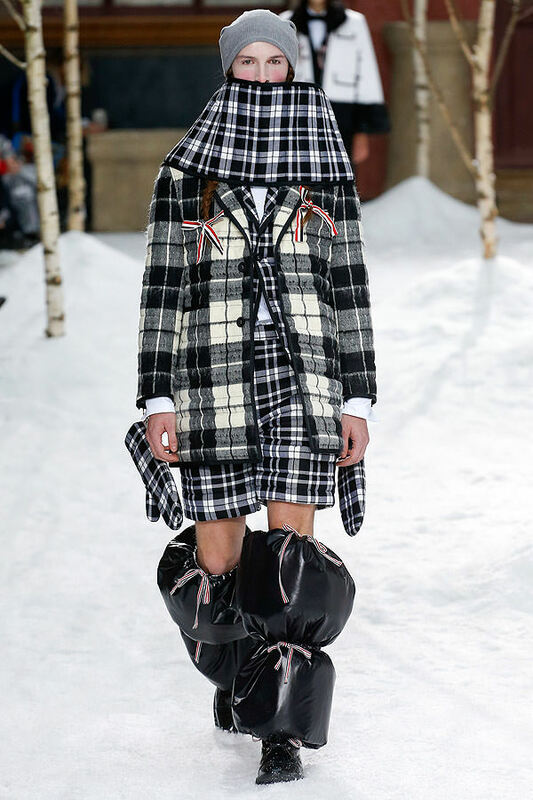 Accessories included hand warmers and survival-like shiny leg warmers, but it was mostly the leather ankle boots that gave the silhouette a strong modernity, cementing the immense talent of a designer who's clearly at his best when he mainly draws inspiration from his own era.